Big Travel Nut has a party! 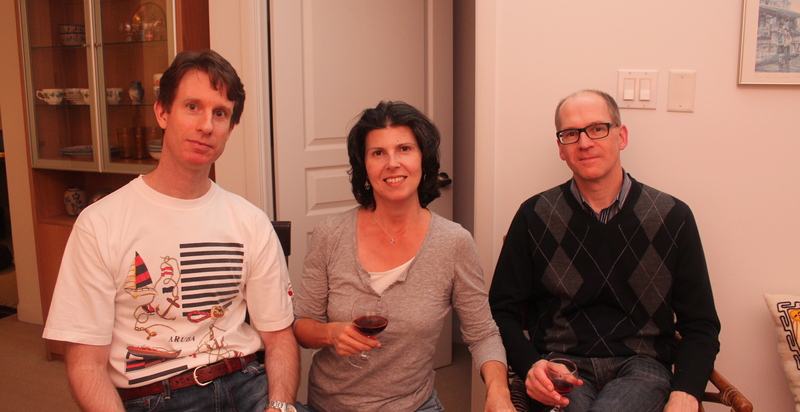 The long anticipated Big Travel Nut Launch Party happened last night. Five people showed up. This is of course one downside of meeting so many of your friends on the road. You end up knowing more people abroad than in your home town, and most of your friends and acquaintances will not fly over to attend a party (although that did happen once). But I really shouldn’t complain. 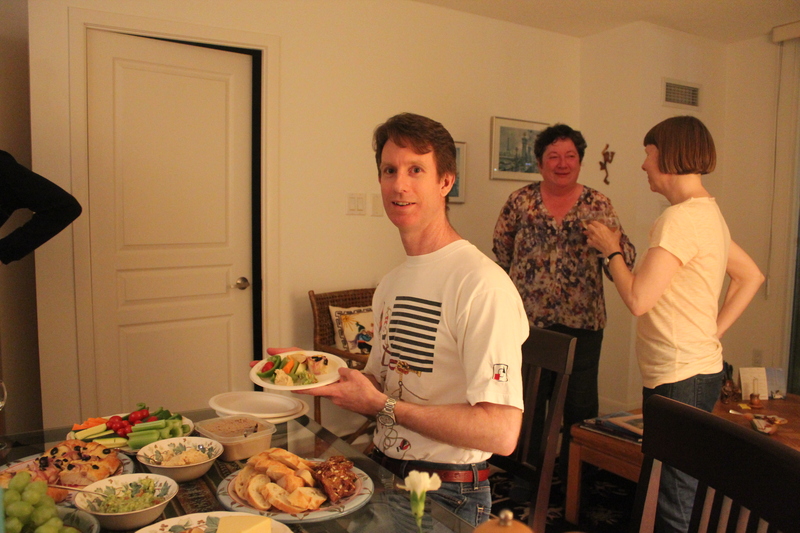 My five guests (all old friends) brought wine and delicious homemade foods to the potluck, and we had an intimate little party in my apartment, drinking, eating and chatting. The food spread looked so good that I had to take photos! There was homemade chicken liver pâté, homemade hummus and guacamole, apple smoked cheddar, chocolate with raspberries, and a homemade focaccia bread covered in cheese, red onions and black olives. I also made sure that there was a big bowl of nuts on the coffee table. 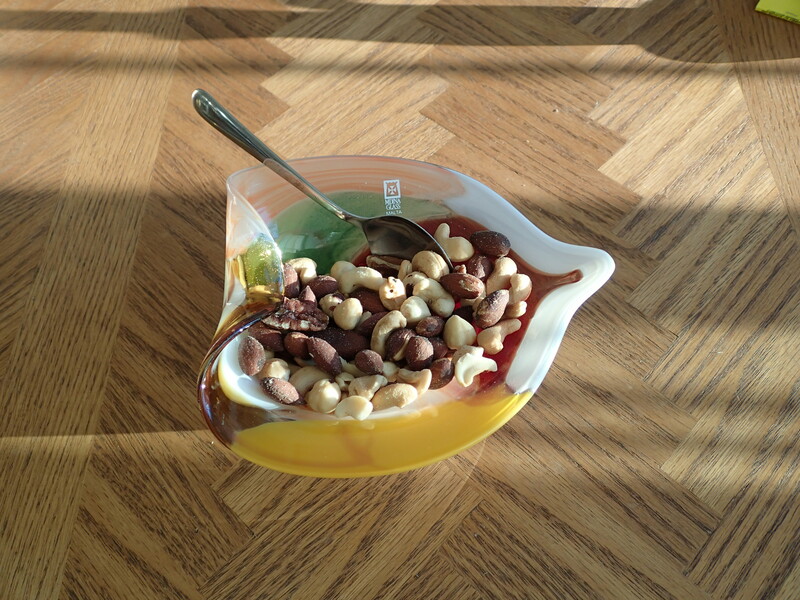 You can’t have a Big Travel Nut party without, well, nuts! By the end of the evening, all the cashew nuts had been picked from the bowl, leaving a pile of forlorn almonds and hazelnuts. I will not point fingers. We listened to a mixture of world music, everything from Latin to Middle Eastern to Portuguese fado, and talked about food, travel, our poverty-stricken ancestors who had to hunt squirrels, and many other topics. I took my guests to the computer to give them a personal tour of the Big Travel Nut site. I explained how the blog was only one part of the site, with many other categories of articles that tried to be more journalistic and less personal. I emphasized that I was trying to stick to a writing schedule of a minimum of two blog posts a week, on Wednesday and Sunday. I talked about future monetization ideas for the site. (Don’t worry, it doesn’t involve pasting silly ads all over it). In the end, I am quite happy with how this party turned out. No, it wasn’t a big flashy affair, but I think it was for the better. To those who attended, thank you for coming. For everyone else, I’m sure you were with us in thoughts. 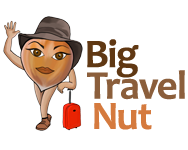 Welcome to the world, Big Travel Nut! I had fun too! Thanks for coming Pat.